I worked with my favorite decorator, Mindy, from Mindy Laven Interiors. She has such a great eye on know how to replicate high end looks on a real person’s budget. She is a savvy saver and can make your party look fabulous. I hope you will enjoy reading the post and viewing the photographs. 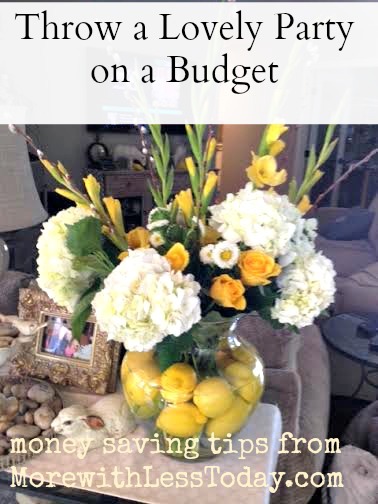 Mindy has some great and affordable ways to give your next party that WOW factor! Here are a few of my money-saving tips, to see the entire list, go here. If you cannot throw the party at home, search for low-cost venues such as a park, clubhouse, YMCA, American Legion hall, the beach or the lake.